On the 14th (Fri), look for gifts at Claddagh and Celtic Jewellery, then make a trip to Quay Street, then stop by Standun Spiddal, and finally kick back and relax at Fanore Beach. 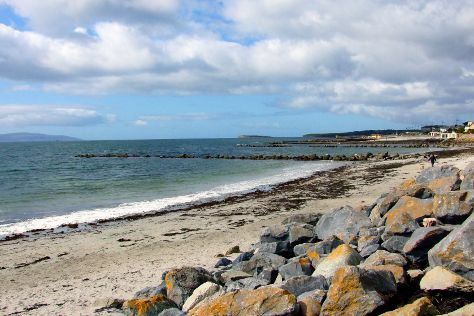 Get ready for a full day of sightseeing on the 15th (Sat): kick back and relax at Salthill Beaches, then get to know the fascinating history of Salthill Promenade, then stop by OMG @ Zhivago, and finally stop by Charlie Byrne's Bookshop. To find reviews, ratings, where to stay, and tourist information, read our Galway trip itinerary maker. If you are flying in from United States, the closest major airports are Dublin Airport, Shannon Airport and Cork Airport. In April, daily temperatures in Galway can reach 56°F, while at night they dip to 42°F. Wrap up your sightseeing on the 15th (Sat) early enough to travel back home.